On-site mediation takes place in a private room within the court house. You will each have a chance for individual time with the mediator, so you can discuss your situation and any concerns you might have about mediating with your ex-partner. In some situations, it may be possible for you to reach some immediate agreements on very narrow issues with the mediator on the day. As a minimum, you will find out about our local mediation services which could give you an alternative route to resolving your dispute. Depending on your circumstances and the time pressures on the day, the mediator may refer you to off-site mediation. 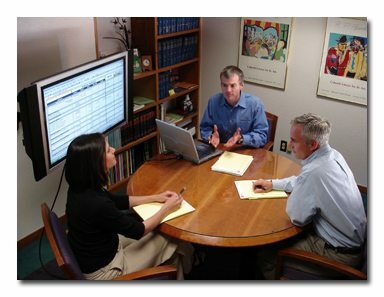 This form of family mediation is subsidized by the government and we can spend more time on your specific issues.